One of the Malaysia's best presented museums, the Penang Museum is housed in a colonial-era building and provides an insight into the rich Penang's history, festivals and cultures. All of the region's past settlers and communities are documented here, along with other important local artifacts, such as carved opium beds and silk clothing that were once worn by the Straits Chinese people. 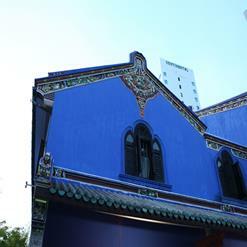 The museum also provides visitors a glimpse at the various ethnic groups that came to Penang in the late 18th century. Temporary exhibitions are eclectic, ranging from galleries of colonial prints to nautical memorabilia from around Penang.